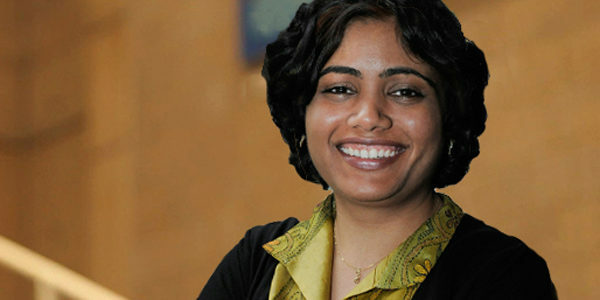 Barkha Saxena took on both a new job and had a new baby during the Wharton MBA Program for Executives in San Francisco. The executive MBA program was a better fit for me. I didn’t want to go to the full-time program because I was doing well in my job and did not want to take a two-year break. One of the biggest differences between the programs is the age of the students. Even the level of conversation is different—class discussions in the executive program are more grounded and less hypothetical, as students immediately apply their classroom learning at work. When you are on the ground, real-world work issues are more challenging than they seem in case studies. That was a big advantage. There are definite differences between the programs, and figuring out which one is right for you depends upon where you are in your career, your personal and professional goals, the level of extracurricular engagement you want and if you are ready to take on full-time school along with full-time work. Your life during the executive program is very challenging. Building a new market is an entrepreneurial endeavor, and so I needed to know how to build a business. I was a senior manager for analytic sales at FICO when I started at Wharton. I knew I would be moving into a director role soon, and that my responsibilities were going to change significantly. It was clear to me that if I got a comprehensive business education, it would not only help me in the next stage of my career, but also in my long-term development. My goal was to stay in analytics, but move to a position where I’m building new markets (and that’s exactly what I’m doing in my current job). The program certainly help accelerated my career growth. I had already become Director during the program and I continued to advance in my career. Currently, as VP of Analytics products and Data at Nomis Solutions, I am following my passion for analytics by bringing new cutting-edge solutions to the market. It’s easy to find alumni in top-tier positions in every sector. In the past two years, the alumni I’ve contacted have been very responsive to me. I’ve come across many career opportunities at different companies because of the network. My husband also has benefited from the network, tapping into it when he started his own company. I had my first baby when I was in the program, which presented a unique challenge. I’m still trying to figure out how I survived. Most important is having support from your family. Since my husband went through the full-time program, he understood how intense it was. I was at an advantage there. I also got help from my mother-in-law, who came from India to stay with us for about eight months. Family support is key. I also had a lot of support at work. I still had to get my work done, but they allowed me a flexible schedule. It really comes down to communicating with all of the key stakeholders—which for me were my family, the office and my clients. You have to make sure that they are not suffering because you are in the program. And you need to keep a positive outlook. If you get stressed out, that’s the end of it. Being in school when I was pregnant wasn’t bad, but it got more challenging after the baby came. It was really important to keep a positive outlook and have positive people around me. There were times when I would think I should drop the term, and my mother-in-law would encourage me to push on and see how far I could get. I stuck with it, and graduated on time with good grades thanks to her. Wharton was really supportive too. When I had the baby, they taped classes for me because I wasn’t physically ready to go back to class right away. They set up a mother’s room for me, and professors gave me extra time between classes so I that could pump. The biggest support I got was from my team members. I didn’t want any favors because I had a baby, and I didn’t want to do less than them, so we shifted the timing of the work. I did more work before the baby came, got assignments done in advance, and took a break after. I really liked the academic part of the program. The professors were amazing, so accomplished. At times, I felt privileged to be sitting in the same room as them. Bulent Gultekin, who taught a finance course, is a good example. He was so accomplished — he led the privatization of Turkey and many other countries, among other things — but despite all those accomplishments, he was so humble. A smart person doesn’t impress me until I see their humility. His last words to us in class were: ‘Be a shining star, not a black hole,’ – meaning, spread your knowledge; help other people. It was a marvelous experience. I used to get goose bumps listening to his stories. Despite being scattered geographically, my learning team had no communication problems. We got along very well and enjoyed working together. Everyone was smart. Everyone had strong work ethic and wanted to take on more work than others. We all had a lot of respect for each other. There is a mutual belief that all of us will be at the next level in our careers in the next five years. Know what you are trying to get out of the MBA program. Once you are in it, it’s easy to get lost because schools like Wharton present you with so many opportunities. If you’re not focused, you can become overwhelmed. If you come with a set plan, you know which courses you are taking, which direction you are going, and how to build your network. The program goes by very fast, and having a set plan is important.